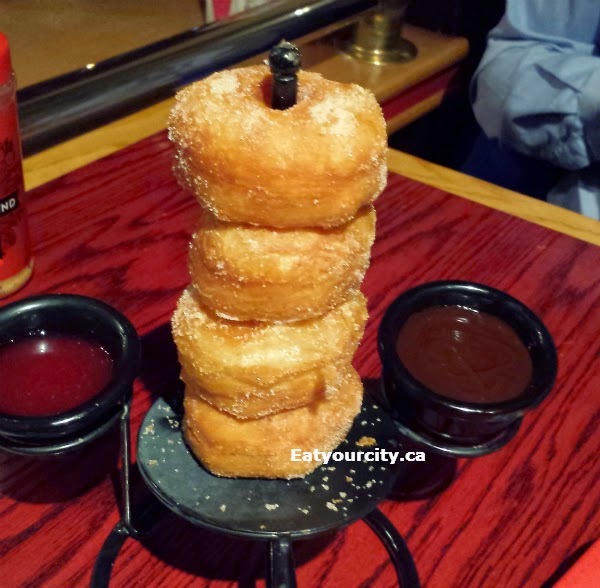 Eat Your City: Red Robin Longstreet, Edmonton, AB - delicious "Doh-rings" croissant+donut and burgers! We had burger craving, so we headed to the downtown Red Robin on the way home from work... and we discovered one of the pleasures of being a grown-up... eating dessert first! 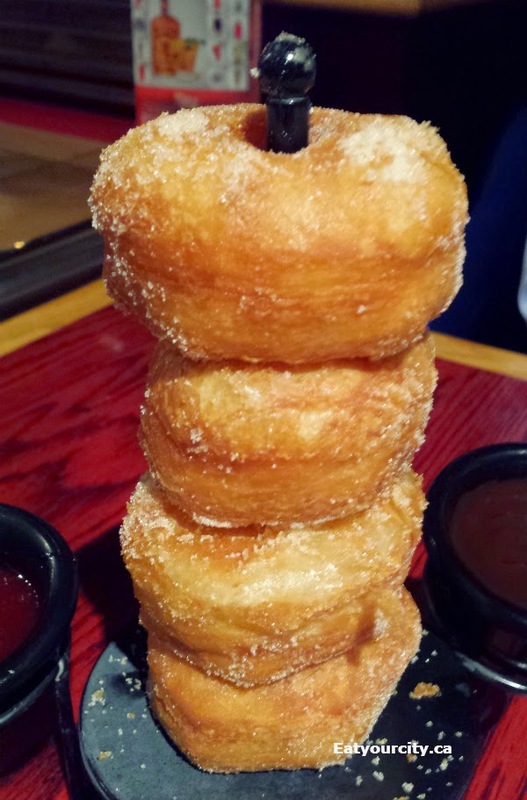 The "Doh-rings" caught our eye - its Red Robin's take on combining a croissant and a donut together. 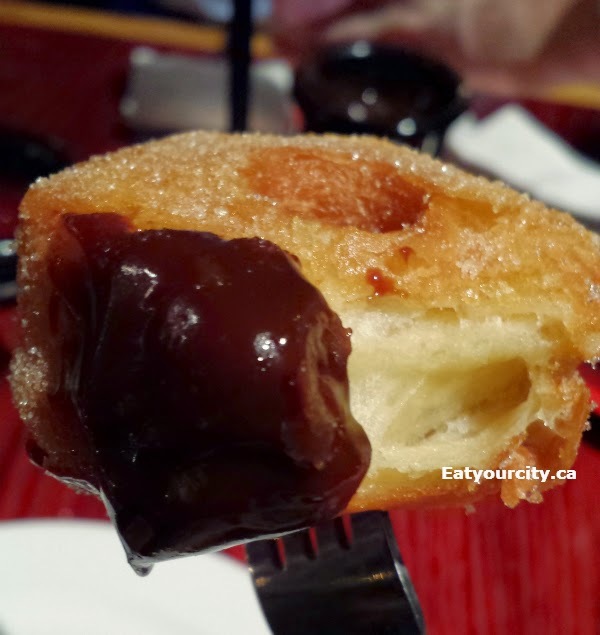 Its nowhere near as blissfully amazing as Swiss Bakery's Frissants (first Canadian bakery to create it in Canada) nor do they resemble the original cronuts at Manhattan's Dominique Ansel Bakery.. but they are still super tasty and decadent piping hot nomnomnoms! Coming in a stack of four or eight, we went with the half portion as we wanted to save some room for burgers! 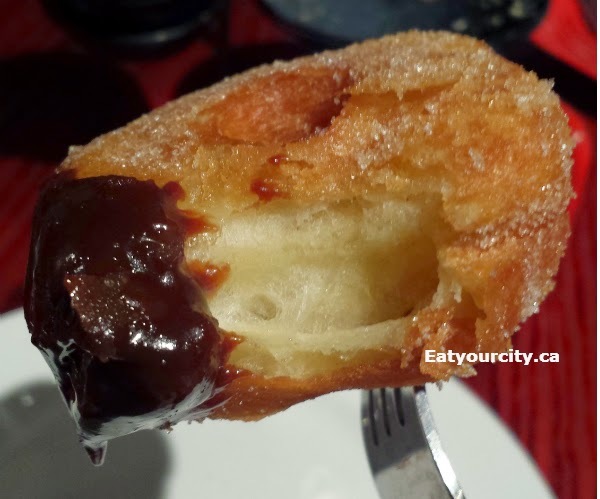 The Doh-rings came out hot and generously coated with sugar and came with some diluted strawberry jam sauce and a chocolate dipping sauce to dunk them in. 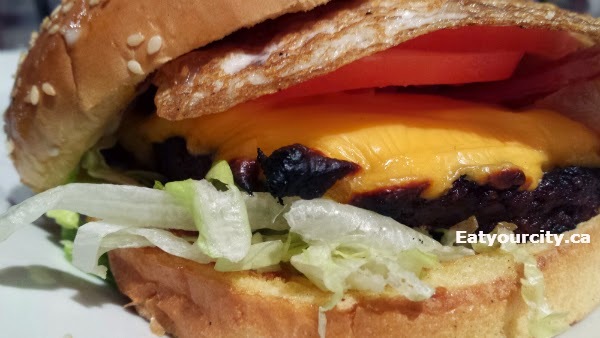 I went with my fav - the Red Robin Royal Burger.. 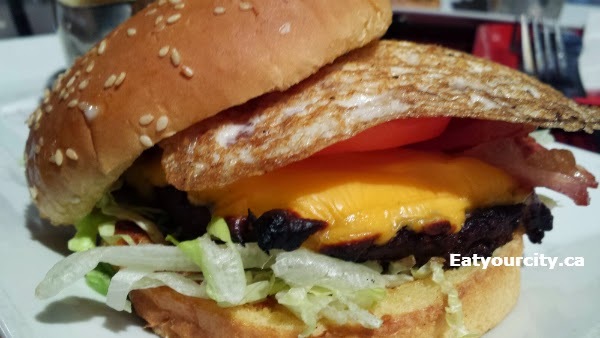 I was full about halfway through the nice moist charboiled burger with melty cheese, crisp bacon, all the groceries and a fried egg. The fiancé went with the Prime Chophouse burger. 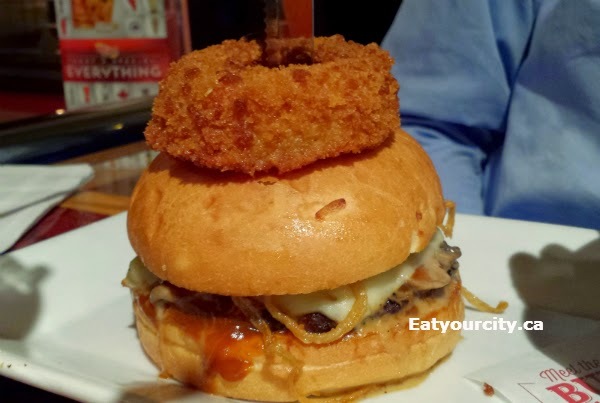 He made the charbroiled seasoned burger with lots of horseradish-sauteed mushrooms, gourmet steak sauce, Provolone cheese, the groceries, fried onion straws and a gigantic deep fried onion ring disappear like magic. We had to digest for a while before we could roll out the door.